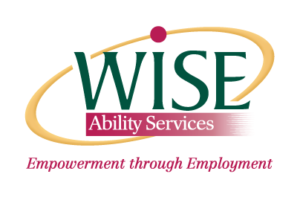 WISE Ability Services is highly committed to ensuring that the delivery, quality and impact of its work should be independently evaluated. As part of its ongoing continuous improvement, WISE Ability Services’ Building Better Opportunities (BBO) UCan project has commissioned DMH Associates, Exeter to carry out a study and evaluation on their behalf. Dr Deirdre Hughes OBE is now leading a small team of qualified and experienced researchers working on the evaluation from February 2019 – December 2019. The evaluation is part funded by the European Social Fund, in conjunction with the National Lottery through the National Lottery Community Fund. Over the coming months, the DMH Associates’ research team look forward to contacting organisations in Dorset to share more detailed information on the evaluation delivery plan. Provide a comprehensive and in-depth assessment of the impact WISE Ability Services is having through the delivery of the BBO UCan project, including WISE Choices, for adults aged 25 years and over alongside other major stakeholders in Dorset. To review and assess specific interventions and the added-value returns for individuals, Dorset’s economy and local communities. To compare and contrast the impact of BBO UCan with other similar projects and identify critical success factors. To examine the impact of interventions within the BBO UCan project involving participants compared with non-participants in Dorset. To identify key successes over and above the specified objectives underpinning the BBO UCan project, and any areas or activities that may not have achieved as expected. To undertake a cost-benefit analysis, cost per outcome, social value, and returns on investment from the BBO UCan project. To assess the BBO UCan project’s resilience and potential for realising a sustainable legacy in Dorset. To make specific recommendations for how the project could be modified, improved and/or scaled-up to a regional or national approach.